Raise A Glass To Our Half Pints Winners! 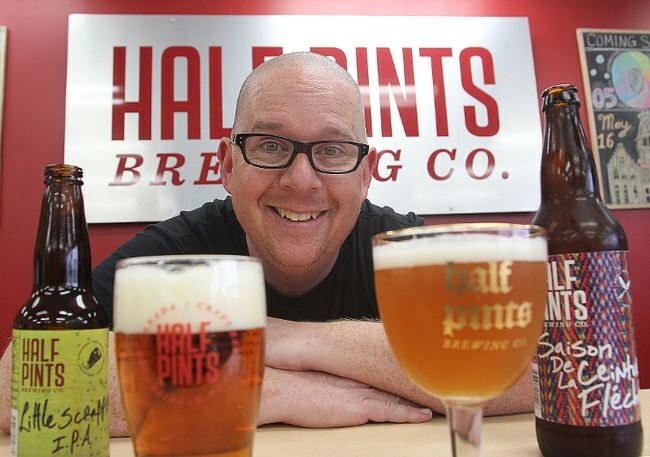 We can’t thank our friends at the Half Pints Brew­ing Com­pa­ny who once again put up 8 dai­ly prize packs dur­ing Pledge-O-Rama 2018 -you winner’s have your pick of some sweet Half Pints good­ies, includ­ing toques, t-shirts and hood­ies that you can dis­play proud­ly to let folks know that you sup­port great local­ly brewed beer! Plus, we’re throw­ing in one of our awe­some UMFM Beer Steins too! Once again they also put up a fan­tas­tic grand prize that fea­tured their amaz­ing brew­ery tour for the win­ner and 20 of their friends, plus a tast­ing and a vouch­er for a Half Pints Keg of their choos­ing! Be sure to stay post-tour for a cou­ple of bevvy’s in the fan­tas­tic tap­room and check out one of the best selec­tions of pin­ball machines in town! Spe­cial con­grats goes out to our Grand Prize Win­ner Jason Fide­lak who is instant­ly the most pop­u­lar per­son on his block! We will be in touch with you good peo­ple to dis­cuss claim­ing your prize!